You can even use shortcuts in combination. For instance, hitting Tab+Enter will send your message, J+X+E will archive messages in your inbox easily. You can even create your own custom keyboard shortcuts. 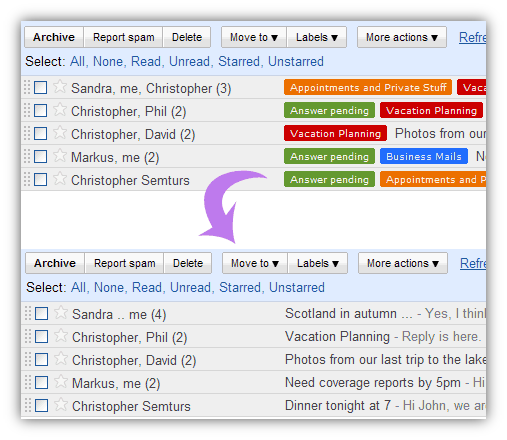 Learn to use Gmail’s shortcut combos and you’re off to performing more tasks in less time. 2. Canned Response. Canned responses are essentially template messages. This is another Labs feature that can be enabled and will allow users to create an email template so that they don’t have to repeatedly type or copy/paste the same message into the email window. 3. Boomerang. This is actually a Gmail plugin and not a feature that can be enabled using Labs. Once installed on your Gmail, you can create a new message and send it later. For instance, you can reply to your boss’ email on a Saturday night but send it on Monday at exactly 8am. This way, your boss would not think that you’re working Saturday night and have no other life outside work. 4. Background Send. Gmail allows file attachment up to 25MB (If you need to attach a bigger file, you may need to attach it from Google Drive). While you’re waiting for your attachment to upload, you cannot do anything on your email. If you enable Background Send from Labs, you can continue responding to other emails and doing other tasks while you’re attachment uploads in the background and sends it when done. 5. Multiple Sign-in Accounts. How many email providers would seriously allow you to to link multiple emails in one account? If you have more than one Gmail account, it is–obviously–difficult to sign in to both accounts simultaneously using one browser. 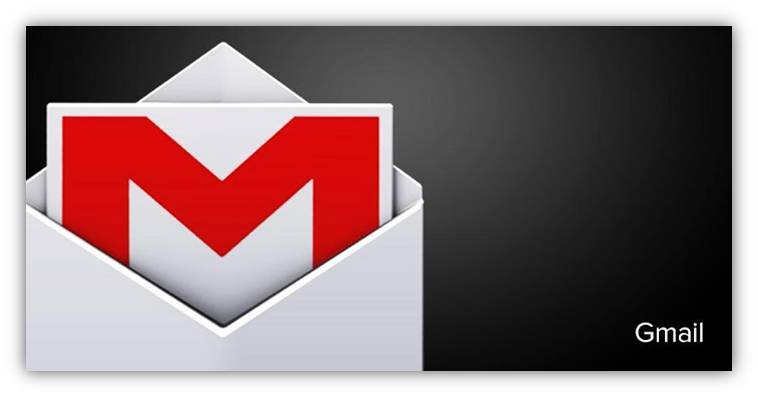 Thanks to Gmail, you can simply merge two Gmail accounts and be notified when you receive any email from each. No more switching back and forth just to check for new messages. 6. Gmail To-do List. think of a to-do list that is displayed like a chat box in your email page. You can turn an email into a task or vice versa. You can print your tasks and even view it on your mobile device. Again, no additional apps or software needs to be installed to remind you of what you need to do. 7. Rapportive. This is another social CRM Gmail plugin that can be installed on devices running Chrome, Safari or Firefox. What it does is replace your Gmail sidebar with a picture of the person that you are emailing and –drum rolls, please–their other social media profiles like Twitter, Facebook and LinkedIn. Obviously, this makes it easier for users to connect with the person that you are emailing on a more personal level and take a quick peek at their Facebook interests or a few Tweets. 8. Undo Send. Do you sometimes wish you hadn’t sent that email? Or did you accidentally hit on the Send button in the middle of writing it? Fret no more because when enabled, Undo Send will allow you to stop the email from sending, even AFTER you’ve clicked on the button. But hurry, the Undo Send message will only stay on top of the screen for 30 seconds tops. 9. Labels. Labels can be used as folders to file your email. One good thing about it is that you can assign as many labels as you want to each email. This will allow you to easily filter through your email and see only what you want to see. Labels come in different colors so have fun coloring your emails. 10. Unsubscribe (quickly). Spam emails from email marketers are just too annoying, right? Search through your inbox for “unsubscribe OR email preferences OR subscribed OR newsletter). Once the list is generated for matching emails, unsubscribe to your heart’s content. Anthony Codispoti is the founder of GetMyTime, a web-based time and expense tracking solution for small & medium-sized businesses. Founded in 2001, GetMyTime is the first web-based time tracking system to integrate with QuickBooks accounting software. A serial entrepreneur since he graduated from The Ohio State University in 1997, Anthony enjoys brainstorms, masterminds, and Chipotle. Even better than just searching for emails with unsubscribe in it. Just simply create a filter and skip the inbox for those emails. You’ll always have a clean inbox after that.